Could the quality of a mother’s sleep affect her child’s future risk for disease? New research presented in the journal Sleep found a significant association between maternal sleep disordered breathing and fetal leukocyte telomere length—considered to be a biomarker of cellular aging. The subject of telomeres has been a hot topic in oral-systemic news lately, as a recent study demonstrated that people with chronic periodontitis displayed significantly shorter telomere lengths than those with healthy mouths. The study authors concluded that maternal sleep-disordered breathing may be a contributing factor to this “accelerated chromosomal aging,” which has been associated with mortality from age-related disease and illness. According to WebMD, one out of every 50 women suffer from sleep apnea—one of the most common types of sleep-disordered breathing—but some studies have shown numbers to be as high as 50%. 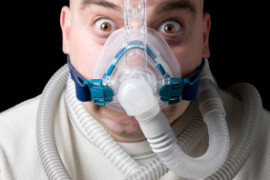 More importantly, approximately 93% of women with moderate-to-severe sleep apnea are undiagnosed. This most recent study, therefore, is critically important not only from a preventative health standpoint but also for awareness. 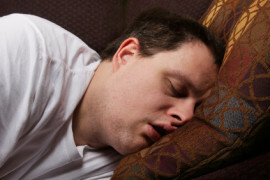 Sleep disordered breathing has been established as a significant risk factor for cardiovascular disease, stroke, obesity, diabetes, and car accidents. This most recent study is the first to show an association between maternal sleep-disordered breathing and fetal telomere length. If confirmed, these results will undoubtedly be significant for mothers-to-be and the medical and dental professionals who treat them.